Builds in less than hour! Easy! Compact System! Solid Steel Supports! SOLID POLY RINK BOARDS, SOLID STEEL BRACKETS, 6 MIL ICE RINK LINER, BOARD TOPPER, AND ICE RESURFACER. 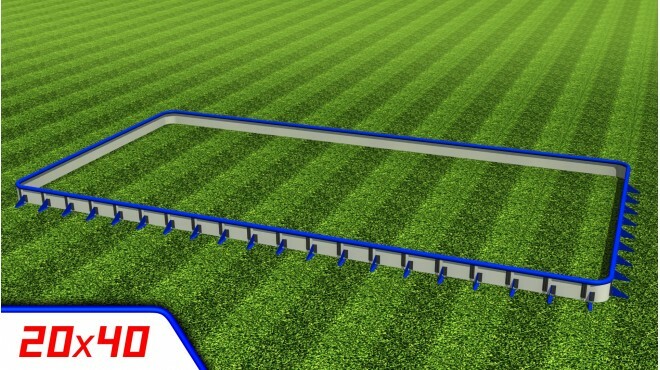 "Drop in Rinks" by Iron Sleek is easiest way to build a durable rink that will last for many years. 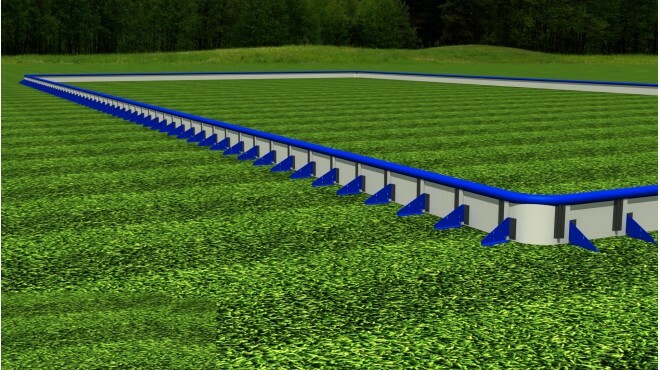 Almost anyone can build a rink with “drop in rinks” by Iron Sleek. Everything is included. This means no more trips to the hardware store. 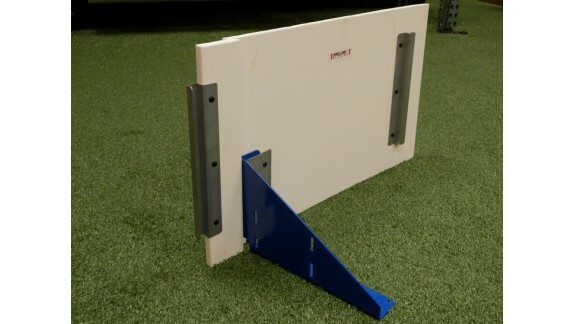 Simply drop in our engineered solid poly boards and effortlessly just drop in the steel support brackets. Yes....it is that easy...just drop in the boards and then drop in the brackets. This is the best way to build a rink on the fly. No need to go through the clumsy motion of approximating bracket positions and then lifting boards after the fact to place brackets or straps. 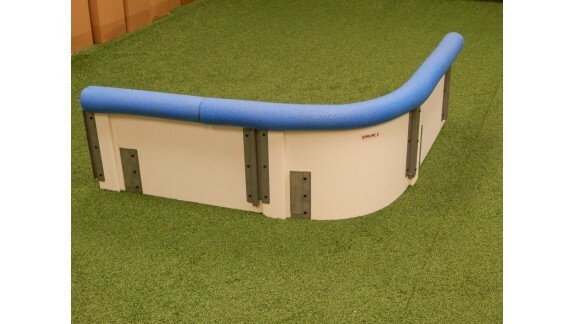 Our unique steel drop-in brackets ice rink system is much easier than any other systems. It just drops right together and can be adjusted on the run. With "Drop-in-Rinks" by Iron Sleek, there is no drilling required yet the board is still rigidly attached to the steel supports by the simplicity and brilliance of the design. 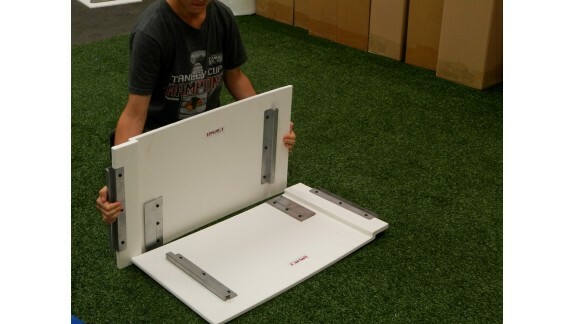 Other systems rely solely on friction to hold the boards to the support brackets...Not Iron Sleek, we are secured! 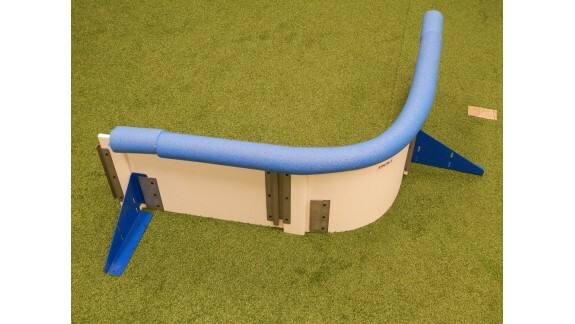 Drop in Rinks is also fully adjustable with simple adaptations for hard courts. 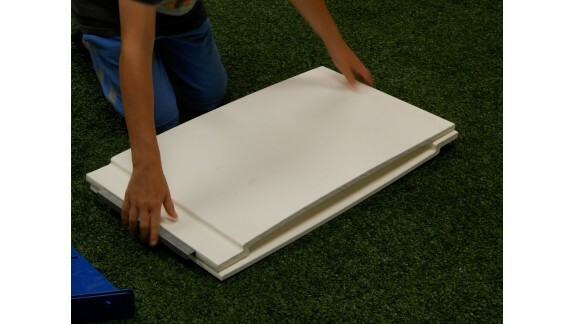 Easiest rink to build-----Solid Plastic Boards vs Hollow Plastic Skins---Toughest with more supports that are Steel not Plastic----The most Compact---Everything is included. Boards: With “Drop in Rinks” by Iron Sleek you are getting ½” thick solid UV treated plastic panels for a more professional board with a more professional look and feel. 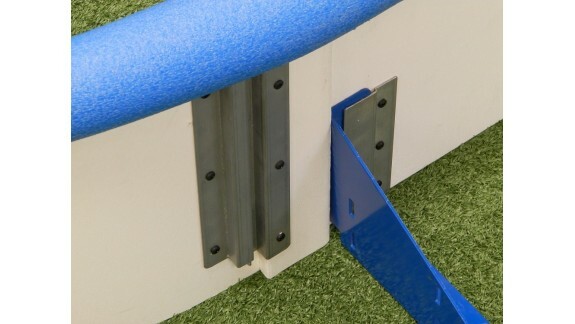 The ingenious slide in side connectors are made of rust proof galvanized steel. The slide in connectors are catches for easy board drop in and also give added strength. In addition, our light weight 2 foot segments will provide you with substantial support against the expanding water while giving you a more hockeylike rebound for pucks. Hands down the best puck play board. 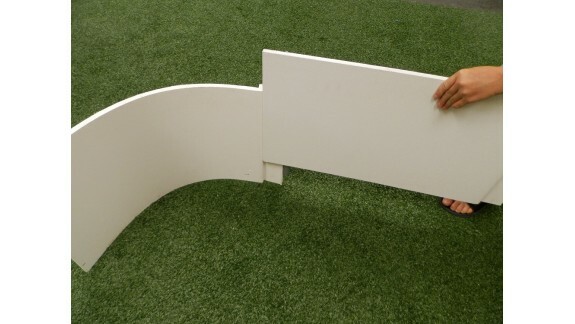 Also, 2 foot boards easily adapt to the realities of wavy ground. Our boards are the easiest to handle while being the most practical. 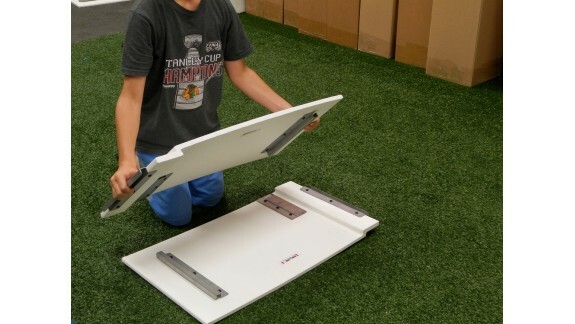 Longer boards are clumsy for handling and assembling. Our boards are solid. 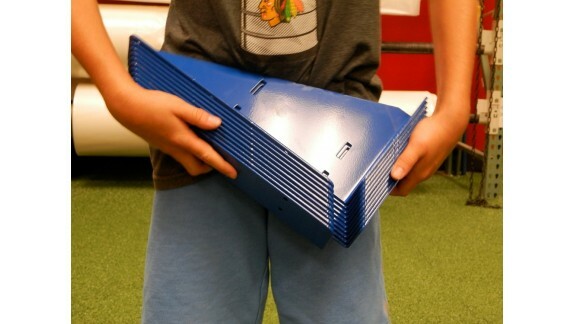 They are the real deal hockey board while others offers air filled plastic skins with unaesthetic manufacturing dimples. 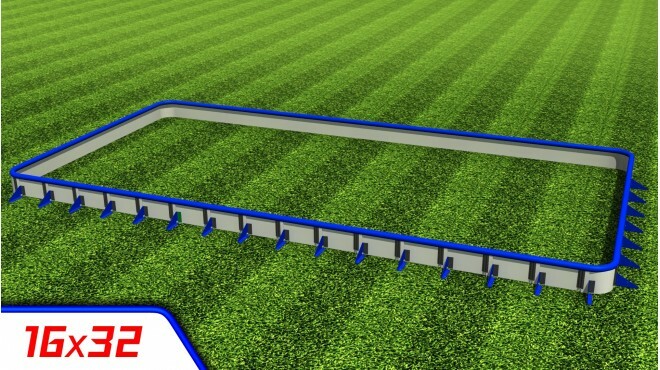 Corner Rounds come standard with “drop in rinks” by Iron Sleek. 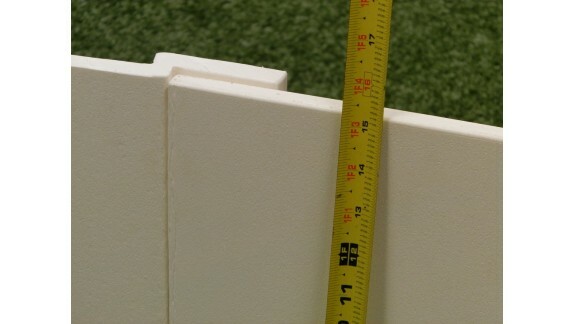 Corner rounds keep pucks in play and enhance the aesthetics of your rink. 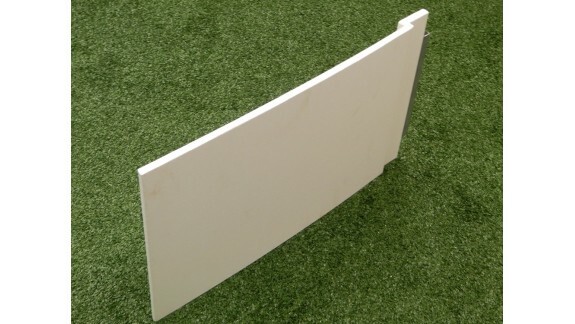 No measuring or planning for a rounded corner… just drop in the round section like you would any other drop-in-board. So simple to have a corner round, just drop it in. Steel Support Brackets: Solid Steel supports that easily endure the brittle cold. 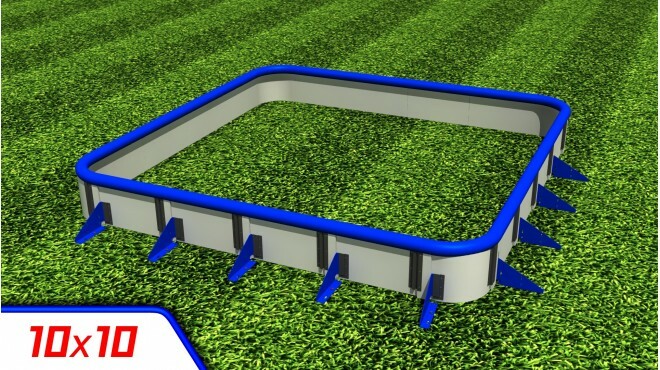 The only backyard system with steel supports for the holding up to the impact and rigors of hockey play. Steel is tough, durable and does not crack like other materials do in subzero winter weather! 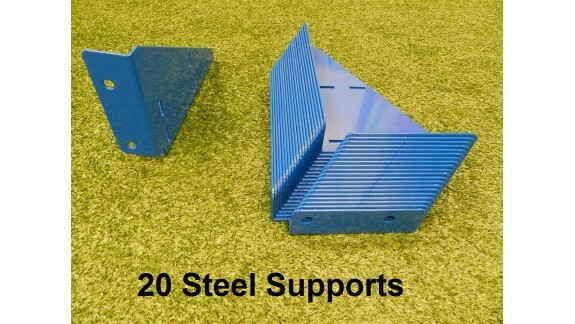 It is also a fact that steel is 100 times stronger than plastic while being much more compact for storage and stacking...plastic brackets are simply inferior and clunky! 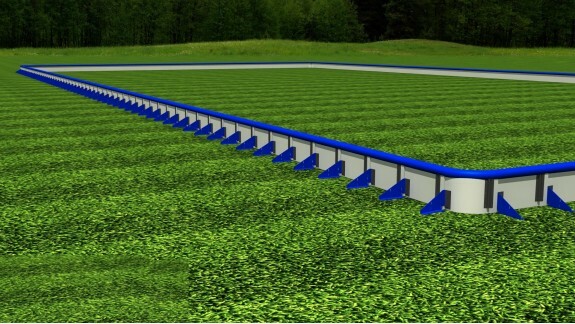 With a Drop in Rink, you get streamlined blue powder coated steel supports for every 2 feet of rink with a pin to lock it down. 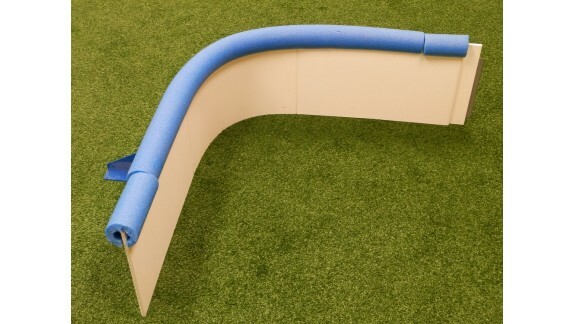 This is better than twice the amount of supports than other rink kit products on the market! If you are going to build it on your own, we want to help assure your success. 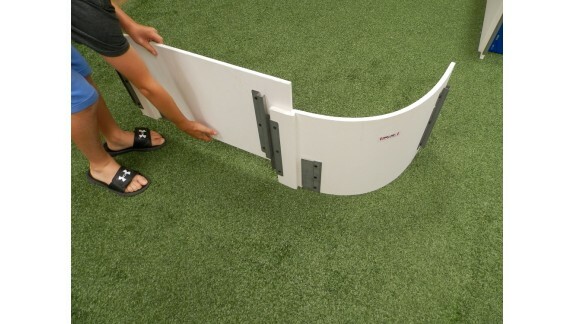 Just one simple walk around the rink perimeter and you will have your rink frame completely assembled. No need to get exhausted or tangled up chasing a matrix of straps back and forth while worrying if a gust of wind will blow your hollow boards out of place. 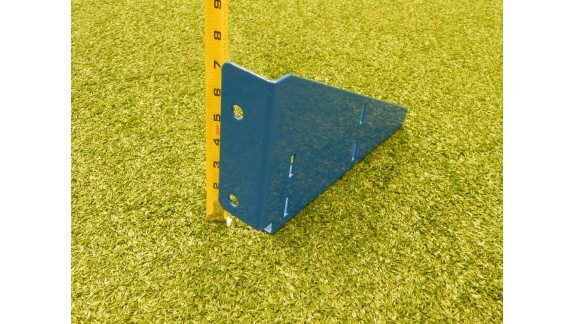 Simply tap the provided pin through our brackets and confidently wait for the cold front to lay the liner. 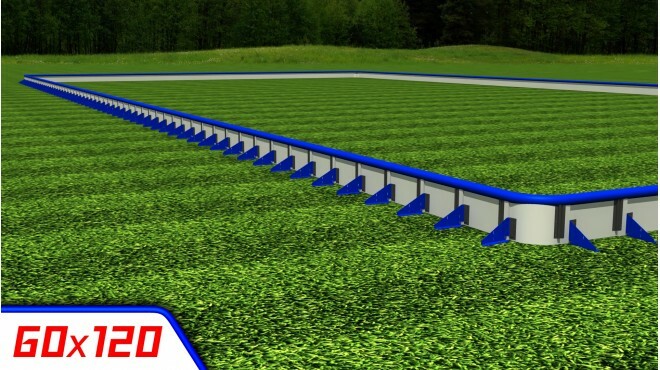 Drop in Rinks steel brackets even have simple adaptations for hard court surfaces such as sporting pads, driveways, pavers or mixed surfaces. 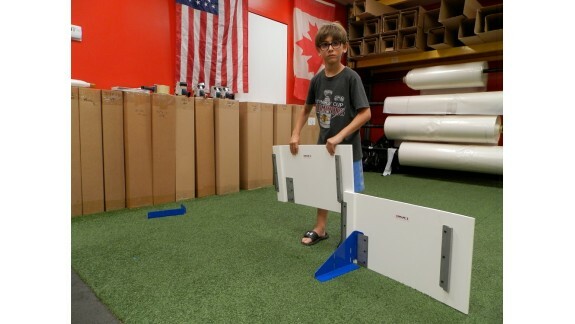 With Drop-in-Rinks by Iron Sleek, you get better, stronger and faster!!! Compact: The most compact system of all. 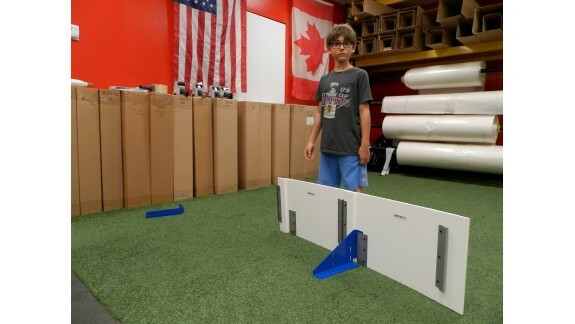 Easy to manage 2 foot boards that just about anyone can manage to maneuver or manipulate. Steel Brackets are nearly 20x more compact than any plastic bracket and 100 times stronger. Boards nest into one another making manageable 2 foot secure stacks while the heavy duty brackets do the same. What else can be said about steel brackets. 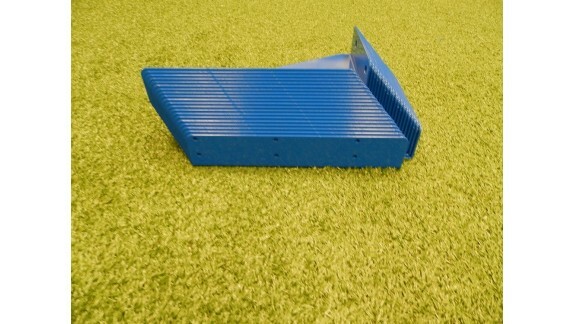 Simply an amazing compact rigid product.